10 Watt x 10 Watt Stereo Amplifier Kit – CK0708. Soldering required. 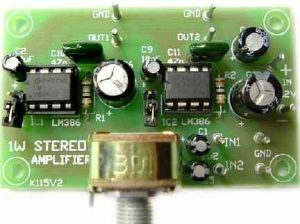 This class AB 10 x 10 watt stereo amplifier kit is designed for quality hi-fi applications using a TDA2009A module. 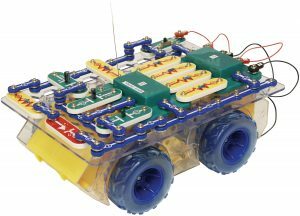 It is easy to construct and has a minimum of external components. The module has output current and thermal protection. 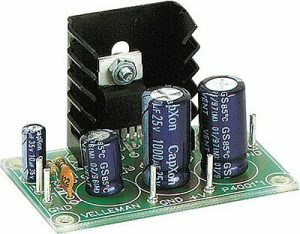 This class AB 10 x 10 watt stereo audio power amplifier kit is designed for quality hi-fi applications using a TDA2009A module. It is easy to construct and has a minimum of external components. 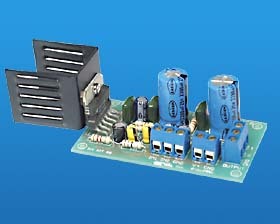 The module has output current and thermal protection. This is the data book circuit which outputs excellent sound. 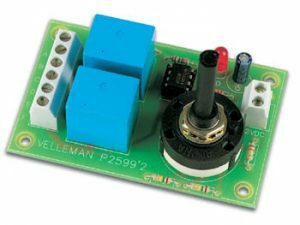 The supply voltage for this kit is 8 – 24V DC at 1 to 2 Amps. Maximum output power will only be obtained with a power supply of at least 20V and greater than 1.5 A, and using 4 ohm speakers. Powerful enough to power a stereo for a mid-sized room and more than enough for use in an automobile. DIY Kit K88.